The Cork Factory hotel has a number of locations tucked away throughout the hotel where the bride and groom can find some alone time for some intimate portraits. Knowing about them makes all the difference in the world. 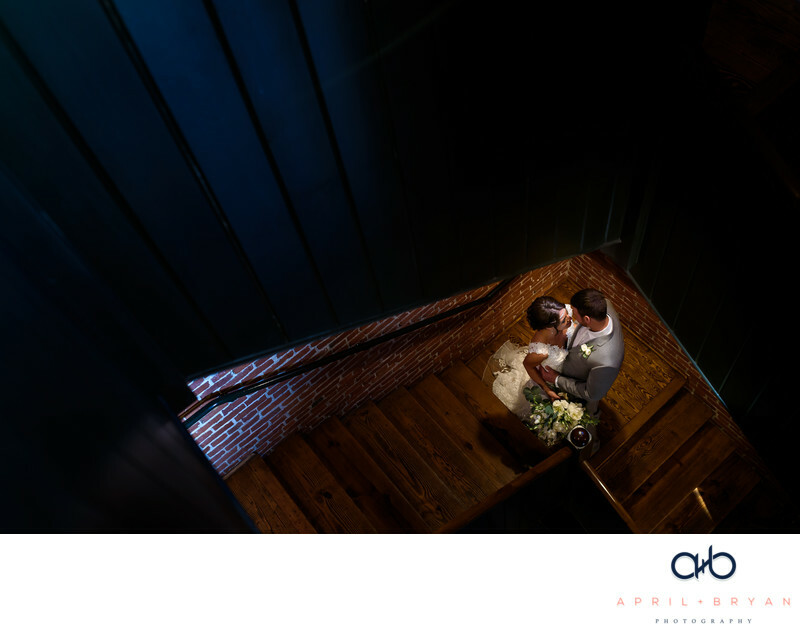 The exposed brick and wooden staircase leading up to the couple combine to provide a perfect backdrop. The Cork Factory hotel is another one of the many gems Lancaster has to offer. This beautiful piece of Lancaster architecture is comprised of the buildings that were once part of the Armstrong Cork and Kerr Glass companies. Its no secret that we love history and we jump at the chance to capture it as part of the art we create. Location: 480 New Holland Ave #3000, Lancaster, PA 17602.